HPD’s Midwest Police Station involved the renovation of a former business college into a criminal justice facility, which would house 159-officers and civilians assigned to the Midwest Patrol Division, two Narcotics squads and one Investigative First Responder squad. The station includes a jail lock-up to house class “C” prisoners, as well as a large public meeting room, designed to seat up to 80 persons, which also doubles as an in-service training room. Additional amenities include an exercise facility, separate men’s and women’s ‘down’ rooms for officers to rest prior to attending court, a break room and kitchenette. 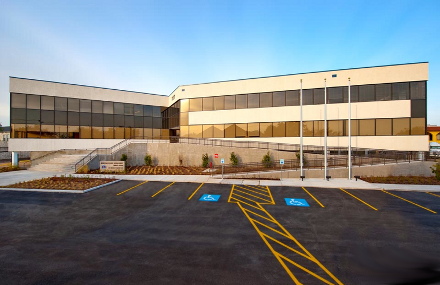 The building also includes additional furnished space, ready to house two more investigative squads and 20,000 square feet of unfinished space, which will accommodate future growth. The 4b scope included the design and construction administration of the IT, A/V and security systems and infrastructure. 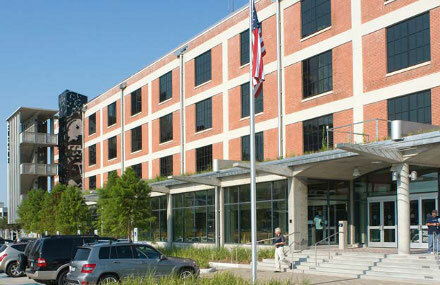 The Central Permitting Center involved the conversion of a four-story, 100-year old rice warehouse into a LEED® Certified, multi-department office building, which now serves as the City of Houston’s One Stop Permitting Center and permanently houses the City of Houston’s Green Building Resource Center. The 4b scope consisted of the design and construction administration of the A/V, IT and security systems and infrastructure. 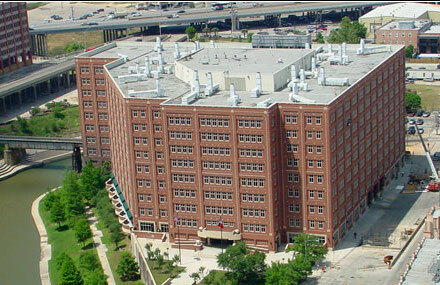 The Harris County Jail Annex 42 project involved a complete security upgrade for the 7-story facility by Jacobs / Carter Burgess. 4b was retained as the security consultant responsible for the design of the IP camera system, including specification of all camera hardware, viewing software, storage devices and viewing stations. Additionally, 4b designed a new end-to-end data network dedicated to surveillance. The Institute for Forensic Sciences Project is a new Forensic Genetics Laboratory located in the Texas Medical Center for Harris County. This forensic center was established to provide unique and creative learning opportunities for visiting medical students, lawyers, law enforcement and physicians. 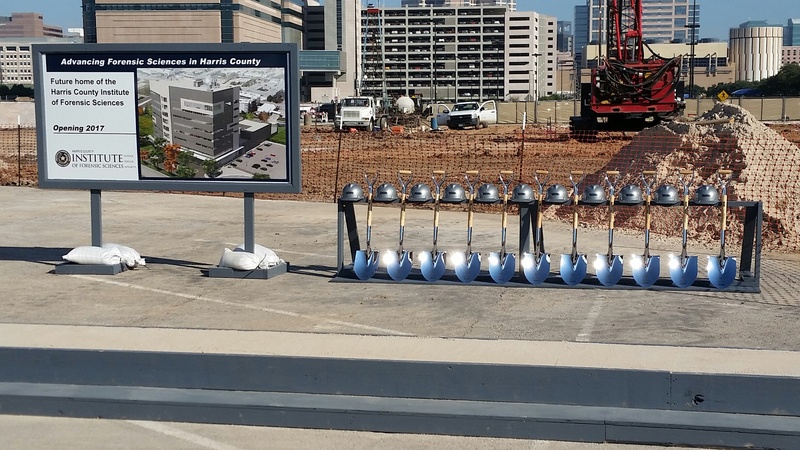 The nine story building will be approximately 200,000 gross SF which includes a 250 person presentation space on the first floor and several conference rooms distributed on other floors. Whether it involves the conversion of a century-old warehouse into a modern multi-department permitting center, the renovation of a business college into a criminal justice facility, or the design of an IP camera system for a county jail, we have your technology and security designs covered. It is vital to have a proper infrastructure in place within a facility to support IT needs. Structural architectural constraints can limit the ability to plan and install a suitable infrastructure. As a leading government technology design firm, we can design a complete IT infrastructure on your behalf. We work on-site to seamlessly implement our work with the entire project team. Our AV systems characterize contemporary, cutting-edge design solutions that deliver outstanding performance, as well as versatility. These systems are also developed to the highest specifications. Through our AV design services, we are able to overcome the difficult constrictions often present with older buildings, as well as other challenges. As part of our government technology design consulting services, we offer security solutions that are innovative, and easy to use within your environment. Our comprehensive suite of security design services includes project planning, design conceptualization, building information modeling, infrastructure surveys, and system assessments, among others. Descriptions of our past work in the government technology design arena are accessible below.